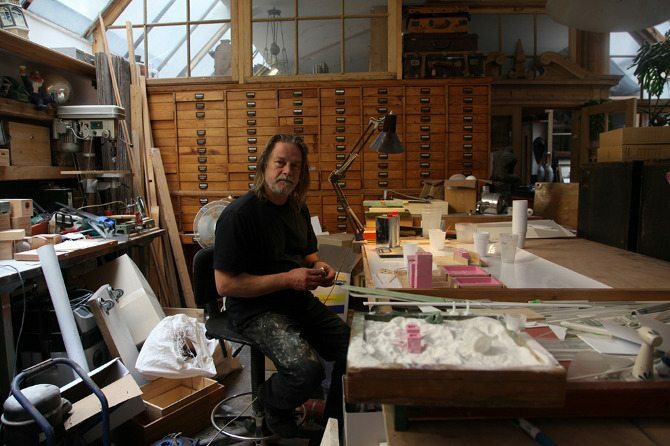 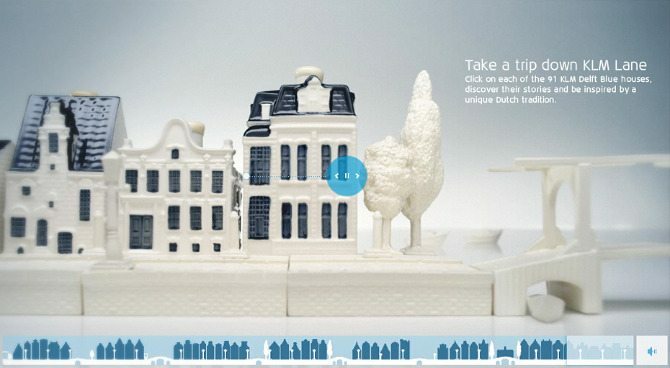 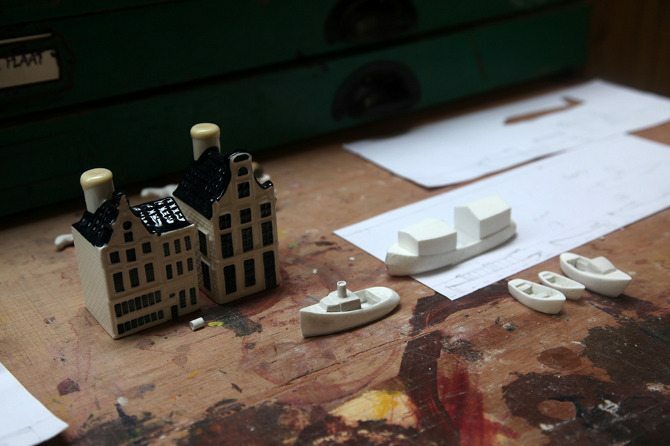 KLM “huisjes” are porcelain models of notable Dutch houses and buildings filled with genever (Dutch Gin). 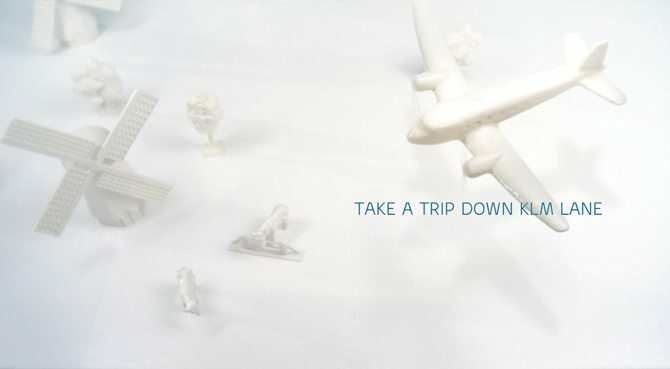 Travellers in KLM’s business class get these as a gift. 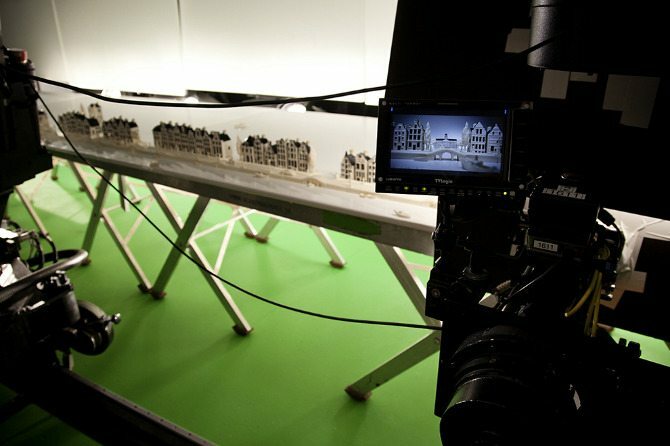 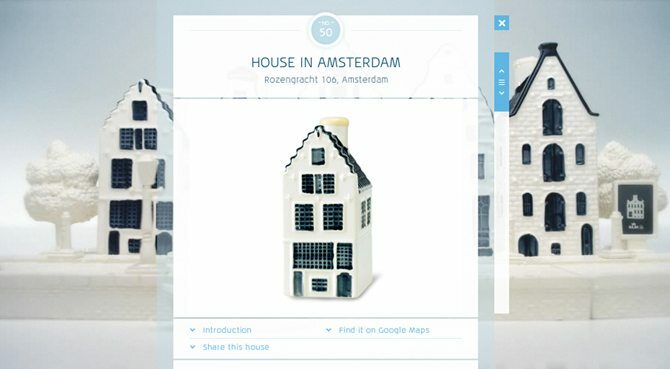 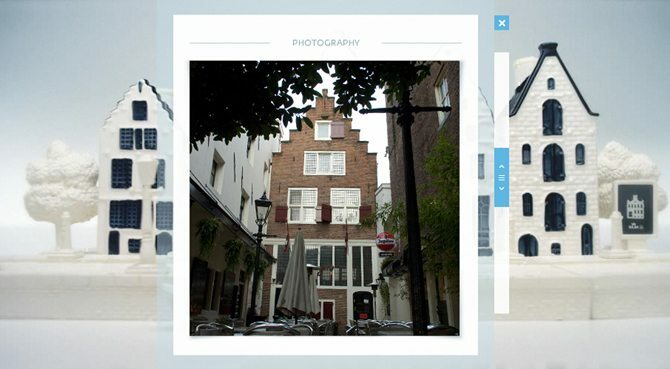 For KLM’s 91st anniversary (and 91st building) we created a mini-site on KLM.com for collectors and fans, where every building was modelled in clay and then shot with a video camera to make one long continuous canal-side street. 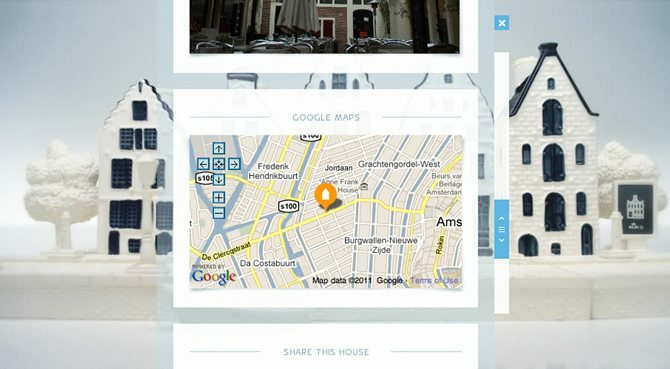 Visitors to the site could then drag left and right and click on houses to find out more information.